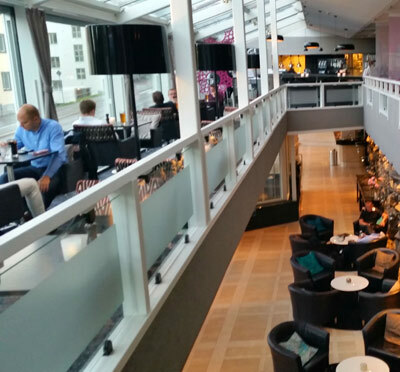 A star on the West Coast hotel sky shines with dazzling service and meeting space with wide-ranging space: Clarion Hotel Post explodes in central Gothenburg in a cascade of intriguing design and amazing spaces suitable for all meetings and events. The old post office has been transformed into a first class city hotel that raises the conference to new heights. 500 rooms are available at Clarion Hotel Post, all of high standard and comfort. The smallest rooms are compactly decorated in 15 square meters, but with thoughtful design it still feels spacious and you have access to a workplace and a generous bed. Then there are rooms in all categories up to suites with 110 square meters luxury. This is a well-equipped conference facility, as complete as the hotel itself. No less than 17 flexible rooms are ready, all with high-quality meeting technology to manage different needs. Board meeting between 2 people or the annual event of 1,000 colleagues - no problems here. 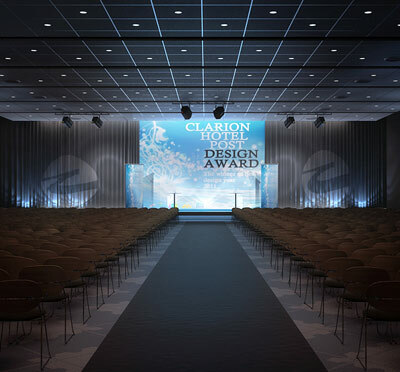 Meetings with up to 1,000 participants find comfortable space at Clarion Hotel Post, which offers all the opportunities for successful associations. Drottningporten - The Queen Gate - the exquisite banquet hall of the hotel, has 915 square meters of surface that can be refurbished and adjusted almost any way. With 6 meters in ceilings, it's a staggering local with plenty of room for creative ideas. At Clarion Hotel Post you are wholeheartedly dedicated to creating a restaurant and lounge environment that will not only attract conference guests, but also local residents. To help, Marcus Samuelson, World famous chef, who is responsible for Norda Bar & Grill, with his experience of first-class cuisine and assignments. Here, Gothenburg flavors are served with influences from New York's taste scene. Gourmet dishes are combined with home-made successes of high quality and for lunch, home cooking is featured on the menu. In addition, there are the new, fresh vRÅ that invites you to Japan's popular kitchen, but with Swedish ingredients. Have you been to Clarion Hotel Post and want to give your own comments? 1) How did you like the lighting? 4) What´s your opinion about the room? 6) What did you think about the cleaning in the accommodation room? 7) How was the bed? 8) How would you grade the "kitchen"
10) How did you find the handling from the venue in the planning phase? 12) How did you find the service in the restaurant? 13) How did you find the service in the conference area? 15) How would you rank the standard of the venue from 1 - 5? How did you like the lighting? What´s your opinion about the room? What did you think about the cleaning in the accommodation room? How would you grade the "kitchen"
How did you find the handling from the venue in the planning phase? How did you find the service in the restaurant? How did you find the service in the conference area? How would you rank the standard of the venue from 1 - 5?